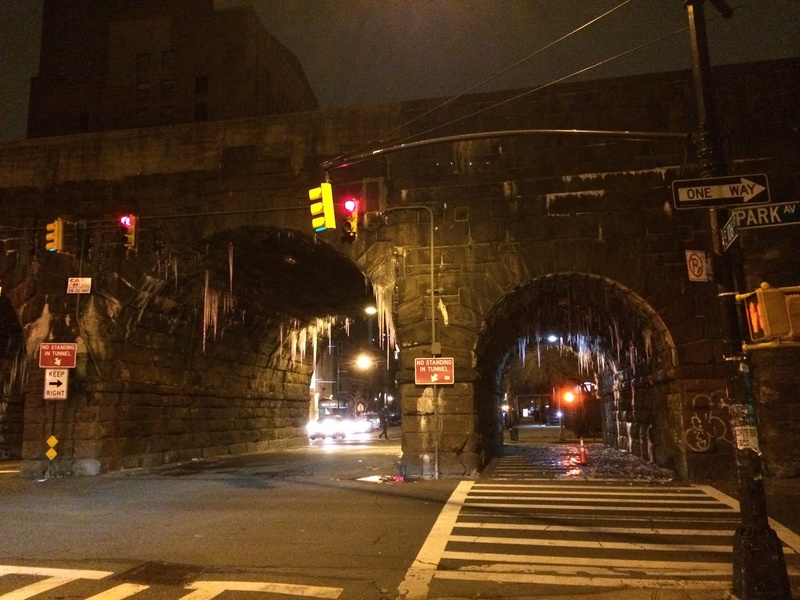 A winter scene at East 106th Street & Park Avenue. C. Nelson, 2014. Winter in the city creates all sorts of challenges from slippery black ice to chilly waits for the bus. But the invigorating cold air also brings out a special beauty in New York that you won’t experience any other time of year. (Just watch this stunning video to get a glimpse.) 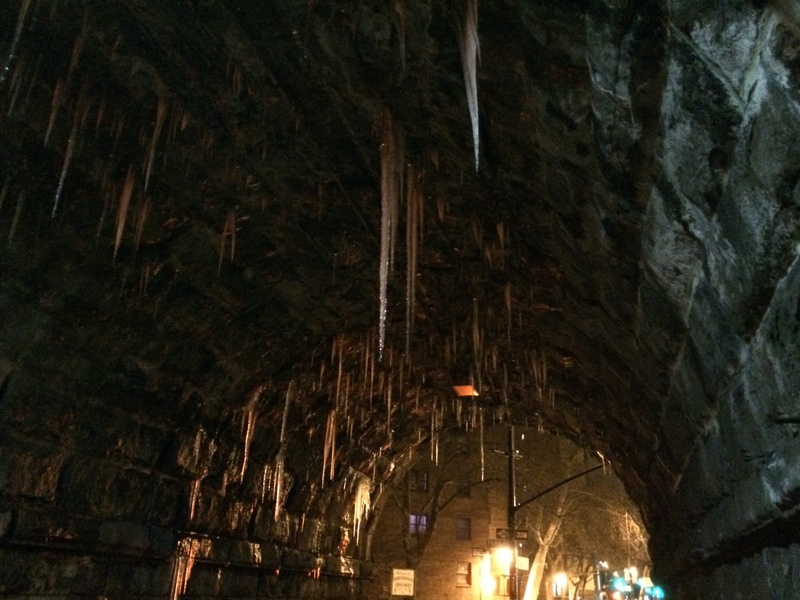 Along the Metro-North viaduct, running through the heart of East Harlem, freezing temps bring another reality of winter: giant icicles hanging from the walls. Metro-North chugs along underground in the Park Avenue Tunnel until it hits 97th Street, where it rushes out onto elevated tracks up to 125th Street and beyond. 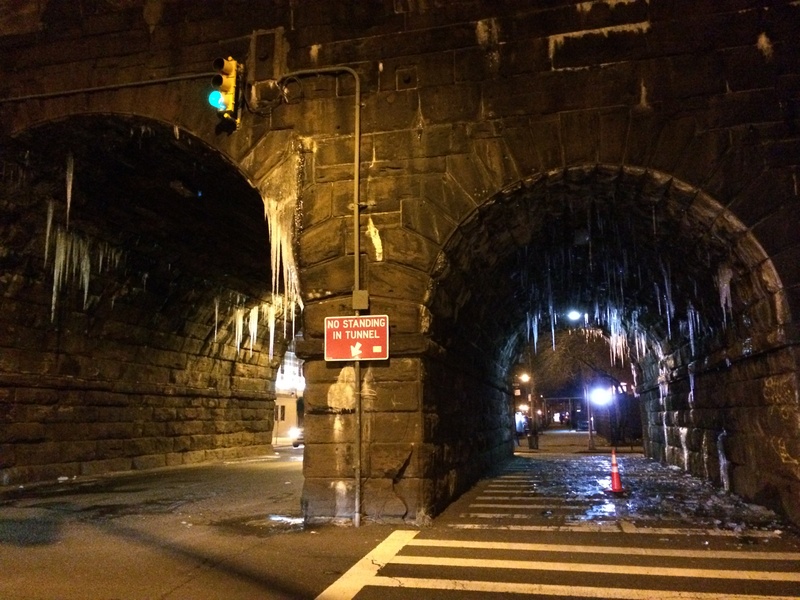 The stone viaduct with handcrafted masonry has pedestrian and automobile passageways that drip moisture in the warmer months and freeze up come winter. 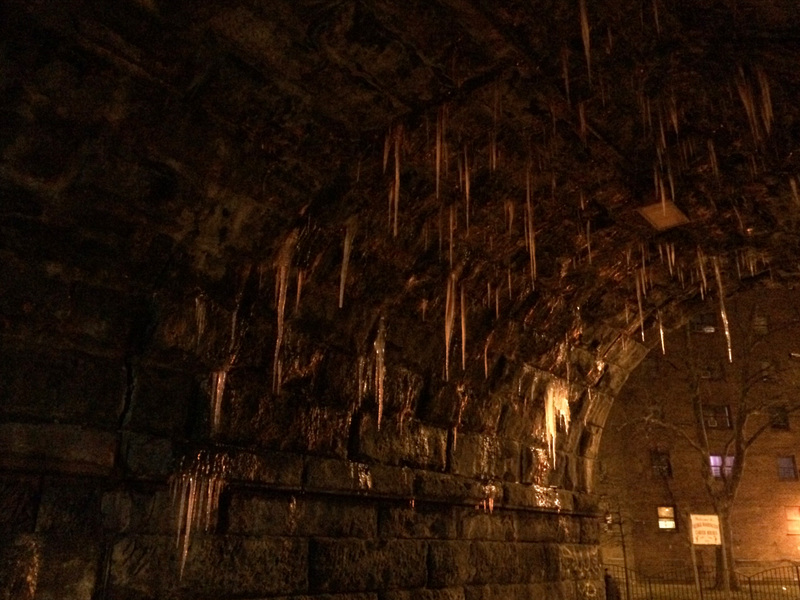 When the temperatures drop again and the ice daggers start to melt, walking through is a beautiful and dangerous experience. Don’t linger too long! Beautiful and a little dangerous. Craig Nelson, 2014. Some icicles measure several feet long. Craig Nelson, 2014. Don’t linger too long! Craig Nelson, 2014. The “No Standing” sign is good advice. Craig Nelson, 2014. 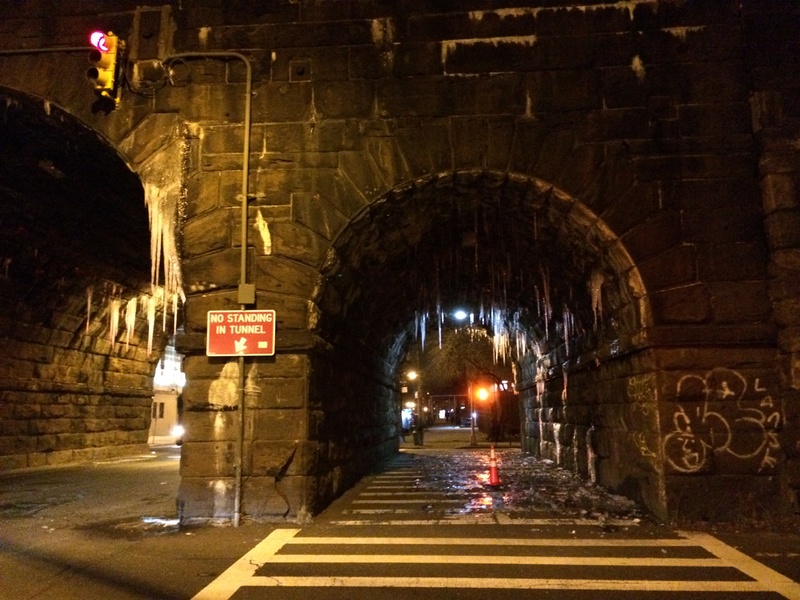 This entry was posted in East Harlem Life and tagged East 106th Street, Manhattan, Metro-North, Park Avenue, transit, winter. Bookmark the permalink. NY City needs some trucks with icicle breakers, ala CPRs “F” units that hauled the ‘Canadian’. At least, with retention toilets on the trains, they aren’t pee/poop-sicles!